Baywalk Marketing, Hollywood Greeks, Hellenic Festival, Greek Ballroom, Hellenic Dining, Orthodoxy.biz, Yia Yia Mary, Greek Obituary, and American Obituary are paid services. Marketing Consulting - Our principal is an active marketing and management faculty member at the University of Phoenix since 2002. Advertising Campaign Design - We design our own ads! We create our own ad copy (text) and art! We write audio and video scripts! See our portfolio! Online Advertising Promotions, specializing in the Greek American and Pan-Orthodox Christian segments in the North American geographic areas geographic areas. Targeting direct email and social media. Hellenic Festival promotes Greek Festivals in North America. 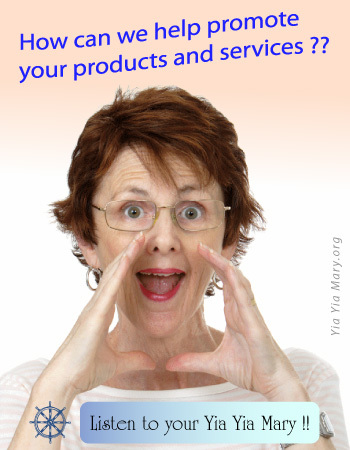 Yia Yia Mary — Sometimes humor is the best way to communicate. If we can laugh together, we are more likely to remember the humor and the message. Like a real Greek grandmother, your virtual Yia Yia has words of wisdom with fun and humor added in. Papou shows up from time to time with his Greek grandfatherly advice too. With Yia Yia Mary as your virtual Greek grandmother, and Papou as your virtual Greek grandfather — how can they help promote your organization? Greek Obituary shares your tributes to your family members from America, Greece, Canada, Australia, Europe, or any of the countries where Greeks have journeyed in their emigration throughout the world. 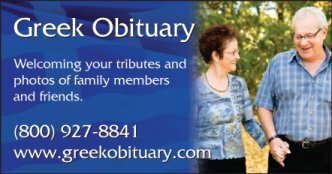 Greek Obituary also welcome all philhellenes - non-Greeks (including spouses) who are family members and friends of the Greeks and Greek culture. 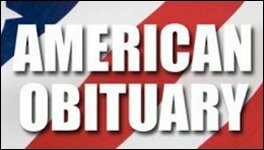 American Obituary shares your tributes to your family members from America or any of the countries where Americans have journeyed in their emigration throughout the world. Baywalk Marketing Public Service Announcement is used to help the constituents of our demographic segment at large. 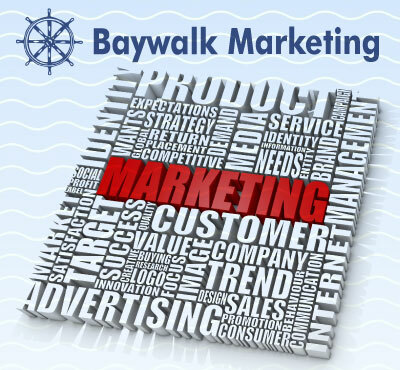 Baywalk Marketing produces, distributes, and promotes public service campaigns for the common good of our demographic segment in areas such as improving the quality of life for children and families, health, faith, education, community well being, and strengthening families. We also do emergency announcements. Dean Tripodes is the Principal and Creative Director who owns these sites and offers these services.